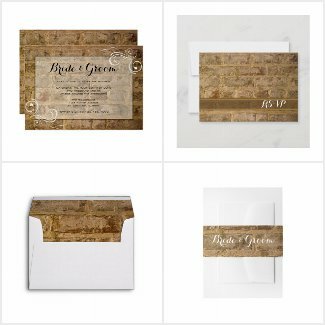 So you have decided to throw a casual yet classy rustic wedding but you aren't sure what kind? Here are some ideas to get your creative juices flowing. 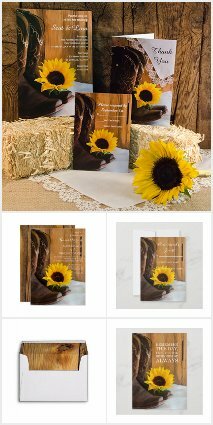 Most obviously, and most popular, is the rustic chic Barn Wedding Theme. 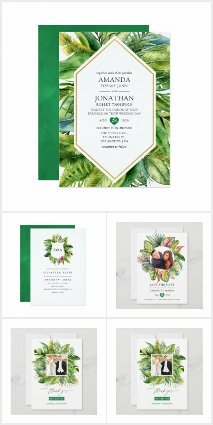 With this theme, the marriage ceremony may take place in a grassy yard outside the barn, if weather permits; or inside if need be. Barns are typically very large and can host many people so they are ideal for big marriage receptions. This style lends itself toward informal homestyle meals versus fancy sit down dinners and can therefore be more cost effective for the couple on a tight budget. As far as decor, almost anything goes! Seating may be long family style picnic tables or elegantly dressed round tables. The drab interior of the barn may be dressed with dainty fairy lights, natural buntings, lush flowers or even chandeliers! You may serve tubs of beers or offer an open bar with a bartender. 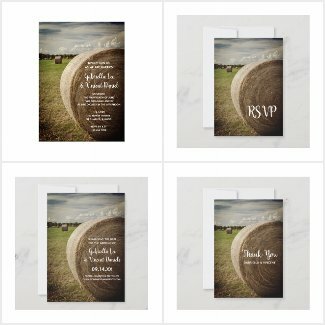 There are no rules for a barn wedding! 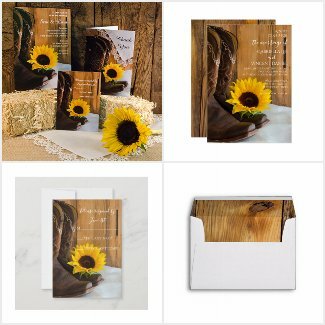 If your marriage ceremony and reception will be held mostly outdoors, you may wish to go with more of a Country Western Farm or Ranch Wedding Theme featuring vast pastures, hay bales, cowboy boots and tractors. An open air big tent may be used in case of bad weather and decorated with string lights. Leather and lace as well as horseshoes may be used as decor accents along with fresh flowers. 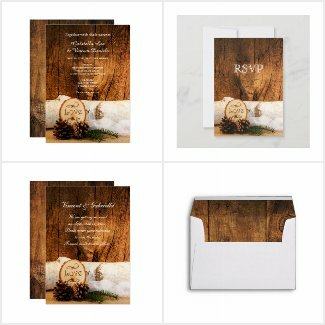 In keeping with the outdoor theme is the charming Woodland Wedding Theme. These enchanted forest weddings may be held deep into the woods of an arboretum or public park venue surrounded by tall trees or pines. This woodsy decor is all about natural effects such as different mosses, fragrant flowers, greenery and wood slices. Perfect for a couple of tree huggers! 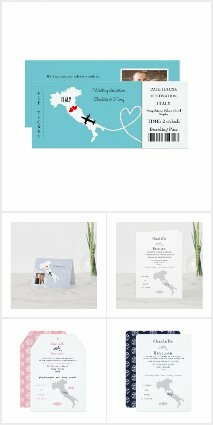 The Industrial Chic Warehouse Wedding Theme is a newer wedding trend, especially in urban or city locales. This type of wedding is usually held in an older building marked with vintage exposed bricks or rocks and steel which can make for interesting wedding photographs. This is a great option for city dwellers who desire a rustic feel but have no access to barns. They can be decorated in much the same fashion to dress up the industrial feel with pretty lights, flowers and fabrics to offset the roughness of the brick and metal interiors. 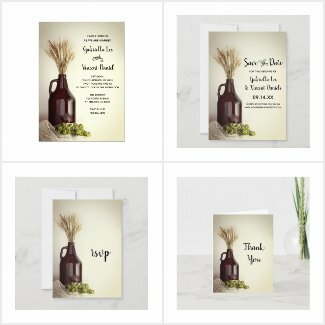 Trending new this year is the Brewery Wedding Theme. 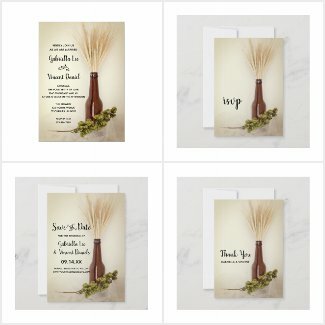 Again for the couple that wishes to set a more informal tone for their nuptials but may not live in a rural setting, these gatherings are held in micro breweries serving unique craft beers. Decor for these weddings can include using brown glass beer bottles or growler jugs filled with flowers or dried hops and wheat as your centerpieces or accents. Using beer as your main alcoholic beverage makes wedding planning easy and and cut down on your bar costs. So, as you can see there are many alternatives to the barn wedding if you are would like to plan a rustic wedding. Be creative and have fun making it your own style!